Speaking in public is like having a conversation. Except there is more than one person in the room. And some of them are strangers. So…. Prepare well in advance. For any and all kinds of talk. You might find yourself pitching to a single person at an event or in an elevator. Know what you’re going to say. Find people you can practice on. -The episode that changed my life. Whether you are speaking to a single person or a crowd, you are CONVERSING with them. Look at them, not at the ceiling. People love humor. Practice telling jokes. If you can’t tell a good joke, say something funny about yourself. “I come from a long line of very shy people. I’m so nervous today that I thought of asking my Mother to give the talk instead of me. But she hung up and moved out of town.” Oh, and smile. Briefly tell the audience what you are going to be about. This will help the audience understand the framework and context of your talk and message. Avoid using Powerpoint. 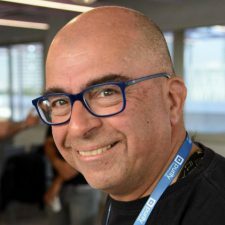 You want to connect personally with your audience. You want to share your story with them. You should be the show – Powerpoint gets in the way of that. 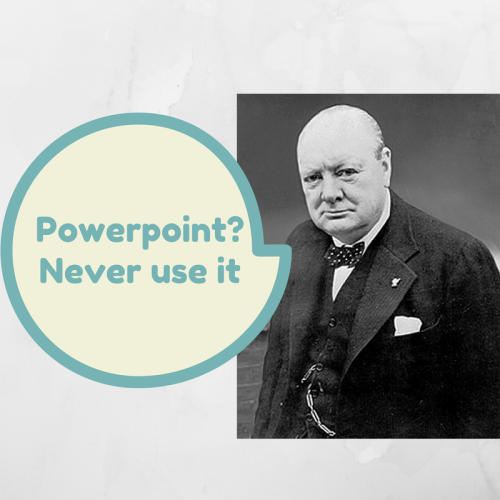 If you need to use Powerpoint, remember three easy rules. Just a few lines per slide if at all (one poignant picture often works better), one idea per slide, no fancy graphics and one slide per minute, max. Everybody gets nervous when they are about to give a presentation. Even experienced speakers. So just jump into the cold water and go to bat. Your heart will race at the beginning, your hands will sweat. It’s normal. Just do it. Plan your pace beforehand with a stopwatch so that you finish on time, or a couple of minutes early. The end of your talk is super important. You don’t want to rush it. Interact with the audience. Keep them on their toes. Ask them questions. There is nothing wrong with fielding questions from the audience if you’re comfortable with that. We all make misteaks. If you make one, smile and move on. Or even talk about it. It just shows that you’re human. Here is another more detailed book. Enjoy!